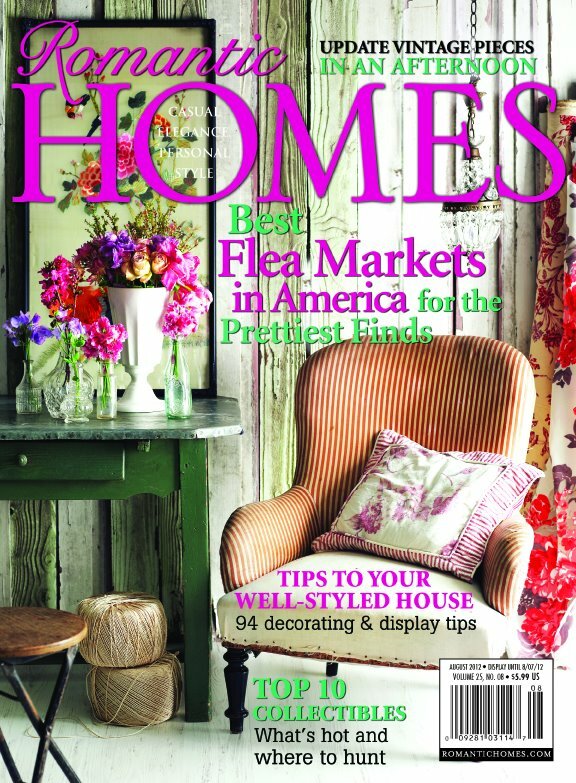 Congratulations are in order: the Romantic Homes August issue is out, listing its favorite markets for pretty vintage finds and two Twin Cities markets are on the list: Haupt Antiek Market and A Gathering of Friends. Bravo! This entry was posted in Find of the Day/Spotlight feature, Markets Around the World and tagged A Gathering of Friends sale, best flea markets in U.S., best flea markets Twin Cities, best vintage shopping, Haupt Antiek Market, Romantic Homes, Romantic Homes magazine, vintage sale Bachman's Minneapolis. Bookmark the permalink. Thanks for the great comments! Looking forward to seeing everyone at our Aug 16-19 Market and at A Gathering of Friends Antiques Market in October!